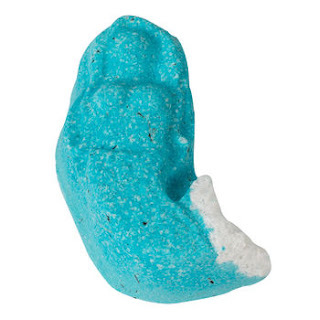 Recently Lush came out with a limited edition bath bomb called "The Mermaid" which I thought was cool and then I found out that 100% of the proceeds go to one of my favorite organizations the "Sea Shepherd Conservation Society". So I bought 4. And I'm glad I did. They are so much fun. The color is so pretty and they smell very nice. 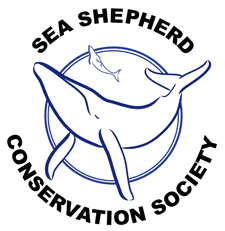 If you don't know who the Sea Shepherds are you really need to check them out. This is what it looks like once melted, Isn't the color pretty? I use their bath bombs to soak my feet after a long day. It's so relaxing. If I had a soaking tub I'd use them as a bath bomb but I don't so right now I'll just continue using them this way. Color, Smell & That the proceeds go to charity. Yes I would. I might even buy more before they are gone. If you've bought this I'd love to know how you liked it. Disclaimer: This/These products were bought with my own money. I was not paid for this review, these opinions are 100% my own.